A trial court, in Pinellas County, has ruled that a homeowners association cannot enforce such parking restrictions relating to public streets. That case arose from the filing of a lawsuit by the impacted owners which sought the entry of an injunction prohibiting the association from enforcing a parking restriction relating to public streets. The trial court granted that injunction. 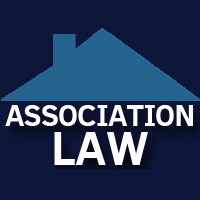 The association that was a party to that case filed an appeal with the Florida Second District Court of Appeal. In Woodfield Community Association, Inc. v. Ortiz by and through Ortiz, 2018 WL 3403387 (Fla. 2d DCA 2018), the appellate court set aside the injunction, but only on the basis that the trial court’s order failed to include certain information needed to support entry of an injunction. The appellate court did not discuss the underlying issue of whether the injunction would have been sustained, on its merits, had the trial court listed the necessary information. Instead, that issue would need to be presented to the appellate court by the filing of a new appeal after the trial court enters a new order. If such an order is entered by the trial court and the association files another appeal, Florida’s Second District Court of Appeal will be in a position to author the first Florida appellate court opinion as to the enforceability of parking restrictions relating to public streets. There are at least 3 reported decisions, from out-of-state appellate courts, that have addressed this issue. In one of the cases, Raintree of Albemarle Homeowners Association, Inc., 413 S.E. 340 (Va. 1992), the court ruled that such restrictions could not be enforced. In the other two cases, Maryland Estates Homeowners’ Association v. Puckett, 936 S.W. 2d 218 (Mo. Ct. App. 1996); and Verna v. The Links at Valleybrook Neighborhood Association, Inc., 852 S. 2d 202 (N.J. Super. Ct. App. 2004), the courts ruled that such restrictions could be enforced, at least as to owners in the community. In honor of Elder Abuse Awareness Day on June 15th, ShuffieldLowman’s Alex Douglas was recently featured on The Florida Bar Podcast to speak about different forms of elder abuse and what people can do to protect themselves and their loved ones. Listen to this episode to hear about the different resources available, including the elder abuse hotline, and to learn about the complexities of guardianship. Alex practices in the area of fiduciary litigation with extensive experience in trust, probate and guardianship litigation. Congress recently passed the Tax Cut and Jobs Act (“TCJA”) earlier this year, the largest revision to the tax code in thirty (30) years. Among the many changes are significant increases in the Estate, Gift, and Generation-Skipping Transfer (GST) tax exclusion amounts. In effect, this means that fewer families will be subject to such transfer taxes and that many estate plans will need to be updated to properly address the new law. The changes under the TCJA present an important opportunity for high net-worth individuals and families to review their current estate planning documents and ensure that their plan is properly tailored to achieve their goals. The most significant change is the doubling of the unified Estate and Gift tax exclusion amount – the combined amount that individuals can give away during life or at death before paying transfer taxes – from $5.59 million to $11.18 million per person. The new tax law also preserves “portability,” a surviving spouse’s ability to retain any estate or gift exclusion unused by a deceased spouse, meaning that for married couples, the exclusion is effectively $22.36 million. This exclusion is inflation adjusted, but current law provides that this doubled exclusion sunsets December 31, 2025, after which estate taxes are slated to revert to current levels. The new law also increases the amount each person can make exempt from the GST tax. As with the estate and gift tax exclusion, the new GST exclusion will increase from $5.59 million to $11.18 million per person (in 2018 as indexed for inflation). Unlike with the estate and gift tax, however, there is no “portability” for GST taxes. Thus, each spouse must use their own GST exclusion before they pass. In addition to the changes made by the new tax bill, 2018 also brings a routine increase in the annual exclusion from the Gift tax to $15,000 per person, per year. This annual exclusion allows each individual to make a gift of $15,000 to any other individual (and in some cases trusts) without reducing their lifetime Estate and Gift tax exclusion amount. The changes in the Estate, Gift and GST tax law mean that many estate plans should be revised to take advantage of tax changes, ensure existing tax formulas still achieve the intended results, or simplify complex planning that is no longer necessary and shift a focus towards income tax planning for beneficiaries. There are also certain planning opportunities that you may want to explore. First, the increased exclusion amount may be an opportunity to unwind complex planning that may no longer be needed to minimize transfer taxes. For instance, many estate plans created under assumptions of prior law provide that at the death of the first spouse, the deceased spouse’s assets are divided into two (2) separate trust shares: a Marital Trust for the benefit of the surviving spouse and a Credit Shelter Trust that may benefit the surviving spouse, your children and/or grandchildren, or combinations of those people. For married couples with large estates, this technique defers payment of any Estate tax until the passing of the second spouse. The trade-off is that the Credit Shelter Trust may not benefit the surviving spouse solely and the income tax basis of the Credit Shelter Trust is locked into place upon the first spouse’s death. Many couples who used such techniques to minimize Estate tax prior to the new increased exclusion amounts will prefer for the surviving spouse to retain greater control of assets and plan for the remainder beneficiaries to receive a step-up in income tax basis for all of the assets upon the surviving spouse’s passing. ShuffieldLowman can assist you with weighing that control over the asset protection and the certainty of the Credit Shelter Trust to determine what is best for each family. As mentioned above, another scenario involving Marital and Credit Shelter Trusts may play out in other plans containing “formula gifts.” Certain estate plans leave assets up to the Estate tax exclusion amount to a Credit Shelter Trust for the benefit of children or grandchildren and leave assets in excess of that amount to a Marital Trust for the benefit of the spouse. Because the Estate tax exclusion amount is now so large, this could mean unintentionally disinheriting the spouse and leaving all assets to the Family Trust or just leaving significantly less to the surviving spouse than intended. Next, we do not know if the federal increased exclusion amounts will not be extended and will in fact expire in 2025, which is what the TCJA provides. Under a subsequent administration the exclusion amounts may even return to the lower levels of the past that existed for most of the 2000s. If either of these events does indeed occur, then the current increase in the exclusion amounts provides a temporary, “use it or lose it” opportunity to transfer assets outside your taxable estate, thereby “locking in” the current exclusion amount before it is reduced and freezing values from future appreciation. 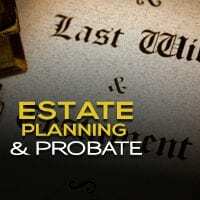 This estate tax planning might involve increased contributions to Irrevocable Trusts such as Irrevocable Life Insurance Trusts, Intentionally Defective Grantor Trusts (IDGTs), sales to these types of trusts, forgiveness of intra-family promissory notes, or other wealth transfer vehicles. You may want to consider further planning using the increased exemption amounts to remove assets from the estate. Finally, some clients may even wish to use the increased exclusion amount to unwind prior planning and bring assets back into their gross estate to obtain a step-up in basis in those assets to fair market value at the time of their death. 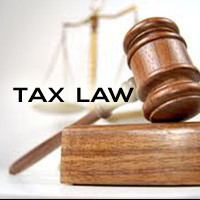 This type of planning is geared toward reducing income tax liability of your beneficiaries upon the sale of the inherited assets. These are just a few examples of the many ways in which the TCJA may affect your estate plan. The TCJA makes significant changes to the Estate, Gift and GST tax regimes. If your estate plan was implemented under previous law, it would be beneficial to review your plan to ensure it accomplishes your current goals in light of these changes. If you would like a comprehensive review of your estate plan, contact ShuffieldLowman today. The IRS announced on Tuesday, March 13, 2018 that it was ending its Offshore Voluntary Disclosure Program on September 28 of this year. It stated that they were alerting taxpayers now to give those taxpayers with undisclosed foreign income or assets a chance to come clean before then. More than 56,000 taxpayers have already done so, but the disclosures have tapered off with only 600 in 2017. The IRS will continue its off-shore tax enforcement as a top priority. Future disclosures will proceed under the traditional Criminal Investigation voluntary disclosure program, but that program requires that all taxes AND penalties be paid and does not offer the 27 ½ % penalty available under the OVDP. 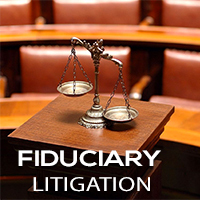 Other programs, such as the Streamlined Filing Compliance Program and delinquent FBAR filings, etc. will remain in force for an indeterminate amount of time for those who may qualify. But if you have unreported off-shore income, your time is running out. The IRS is issuing a series of brief articles alerting and explaining the rights that U. S. Taxpayers have under the Taxpayer’s Bill of Rights. The first bill of rights was adopted by Congress in 1988 and supplemented in 1996. Many taxpayers would be surprised to learn that they have any rights before the IRS. Here is an excellent opportunity to learn about them. The Right to Be Informed: https://go.usa.gov/xnHAh.